Not only is a total solar eclipse rarer than a solar eclipse, but this one is even rarer. This total eclipse is only viewable from America, and will be the last total solar eclipse America will see in its totality until May 1, 2079. The demise of Earth is predicted to happen around seven billion years from now, when the expanding sun engulfs and destroys our planet, and Earth’s life forms will witness the last total solar eclipse— around 600 million years from now. From now until then, solar eclipses will occur in annular, partial and total, from different vantage points on Earth. 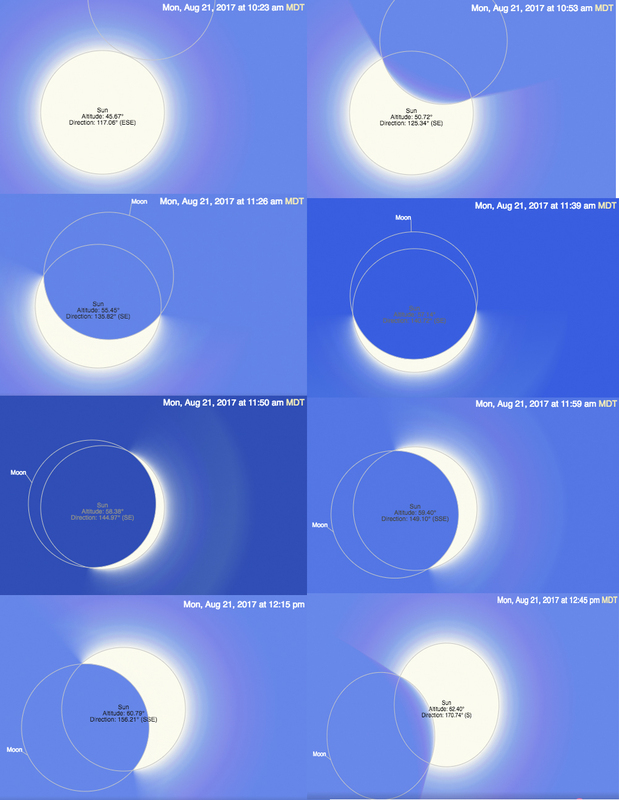 However, August 21, 2017 will be the last total solar eclipse America will see in its totality because the moon is slowly moving away from Earth, disrupting the intricate balance that causes the sun’s light to be blocked out. A total eclipse is a dance with three partners: the Moon, the Sun and the Earth. This can only happen when there is an exquisite alignment of these three partners in our sky. The moon’s slow progress away from Earth means these celestial events won’t keep happening, and only visible from certain points on Earth. 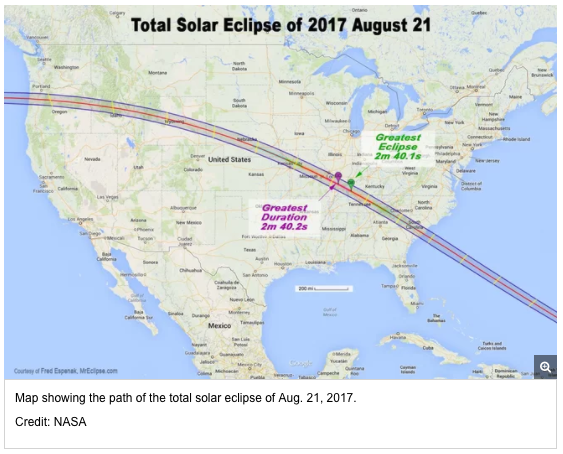 On Aug. 21, 2017, people across the United States will see the sun disappear behind the moon, turning daylight into twilight, causing the temperature to drop rapidly, and revealing massive streamers of light streaking through the sky around the silhouette of the moon. On this day, America will fall under the total path of a total solar eclipse, for the last time in a half a century. The so-called Great American Total Solar Eclipse will darken skies all the way from Oregon to South Carolina, along a stretch of land about 70 miles (113 kilometers) wide. People who descend upon this “path of totality” for the big event are in for an unforgettable experience. The duration of totality, as experienced by observers on the ground, tops out at a few precious minutes for all total solar eclipses. 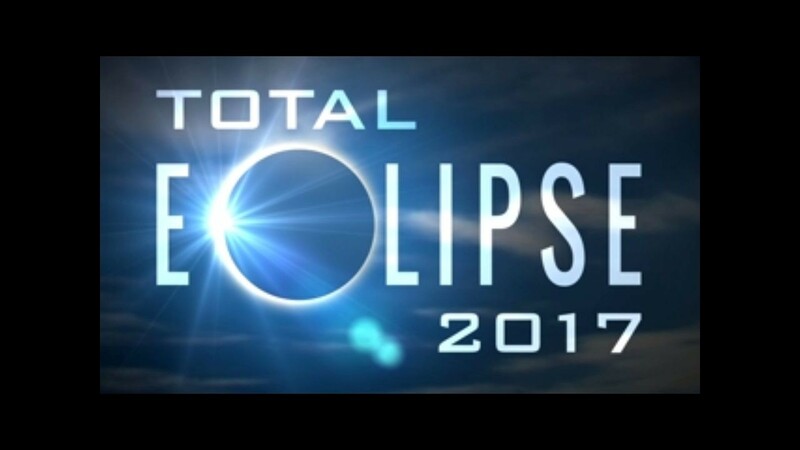 For most viewers, the Aug. 21, 2017 total solar eclipse will last less than two and half minutes. The solar eclipse will be visible from all across America, however, viewers directly under the path will only see the spectacular TOTAL eclipse. 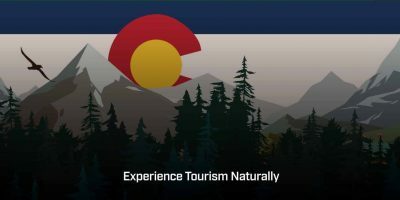 Others, such as in Denver, Colorado, will see a partial eclipse. Depending on location, the angle of your view will vary. Depicted below is a time lapse of what can be expected to be seen from Denver, Colorado. The Moon touches the Sun’s edge: This Partial Eclipse begins at 10:23 am, in a 117° direction, at a 45.2° altitude. Moon is closest to the center of the Sun. This Maximum Eclipse begins at 11:47 am, in a 144° direction, at a 57.5° altitude. The Moon leaves the Sun’s edge. This Partial Eclipse ends at 1:14 pm, in a 186° direction, at a 62.0° altitude. For NASA-funded scientists, the eclipse will last over seven minutes, however. Their secret? Following the shadow of the Moon in two retrofitted WB-57F jet planes. These could well turn out to be the best ever observations of high frequency phenomena in the corona. Extending the observing time and going to very high altitude might allow us to see a few events or track waves that would be essentially invisible in just two minutes of observations from the ground. – Dan Seaton, co-investigator of the project and researcher at the University of Colorado in Boulder, Colorado.